AlterECO = design + cabinets. Founded in 1997, AlterECO is well known in the Bay Area for custom cabinetry designed & built to high standards of craftsmanship, utility and sustainability. While bamboo has long been our featured cabinetry material due to its aesthetic appeal, structural integrity, & environmental benefits, we work from an innovative palette that includes a variety of ecologically-responsible materials. The beauty and character of the wood, bamboo, and natural composite materials we offer are enhanced by safe, premium quality finishes. A central purpose of AlterECO has always been to promote conditions for a healthy home for each of our clients & a healthy planet for all. The importance of this mission gets increasingly important with every passing day. Full service design of inspired living spaces including remodels, additions, kitchens, bathrooms, home offices, kid spaces, bedrooms and outdoor living areas. How do you want to live? Marin County's Kitchen & Bath Design Solutions | Best of Houzz 2018! 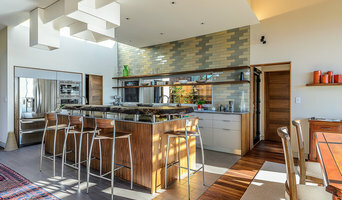 Marin County's Innovative Kitchen & Bath Designer | 6x Best of Houzz! What does a Sausalito kitchen designer or bathroom designer do? A kitchen and bath design professional in Sausalito, CA knows to take all of these crucial points into consideration and can help plan the layout, materials and overall look and feel of either of these rooms in your home. Kitchen designers, as well as bathroom designers, are constantly staying on top of trends in the ever-changing industry. The designer also knows the best layout for your room, and can configure the layout for optimal functionality and utilization of the space. In the kitchen the refrigerator, stove and sink should be laid out in relation to one another, and it should be seamless and easy to move from one to the other. 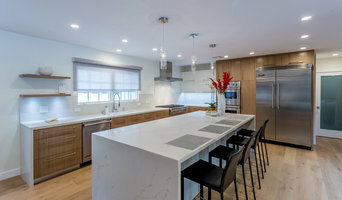 A Sausalito kitchen and bath designer will know how to work with a contractor and architect to plan the flow of the room to work best for your needs. Here are some related professionals and vendors to complement the work of kitchen & bath designers: Kitchen & Bath Fixtures, Appliances, Tile, Stone & Countertops, Cabinets & Cabinetry, Woodworkers & Carpenters. Before you talk to bath and kitchen designers in Sausalito, CA, consider how you will use the room. For your bathroom, is it necessary to have a bathtub for bathing kids or pets, or would a shower suffice? Perhaps all you need is a half bath for downstairs or a smaller guest bath for occasional use. Similarly, for kitchen renovations consider your cooking habits. Do you eat out every night but need a space to entertain in? If so, a smaller kitchen might be fine for you, with a space devoted to wine storage or a bar, whereas others might prefer a bigger stove or extra cabinets. When interviewing Sausalito kitchen and bath designers, make sure to share these habits so they can best fit the room to suit your needs. 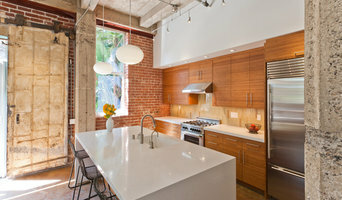 Find a Sausalito kitchen designer or bathroom designer on Houzz. 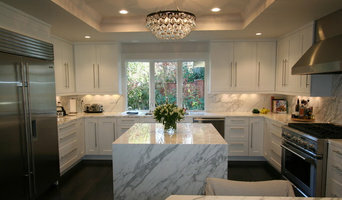 Narrow your search in the Professionals section of the website to Sausalito, CA kitchen and bath designers. You can also look through photos in Sausalito, CA to find a kitchen or bathroom you like, then contact the professional who designed it.